Great news: Leiden University Library owns two letters from the most authoritative 18th-century English grammarian, Robert Lowth (1710-1787) . They were identified accidentally by Myrte Wouterse, BA English and Honours Academy student at the University of Leiden. Myrte and a fellow student had been taken to the library by their teacher Thijs Porck, who wanted to introduce them to the Library’s Special Collections. 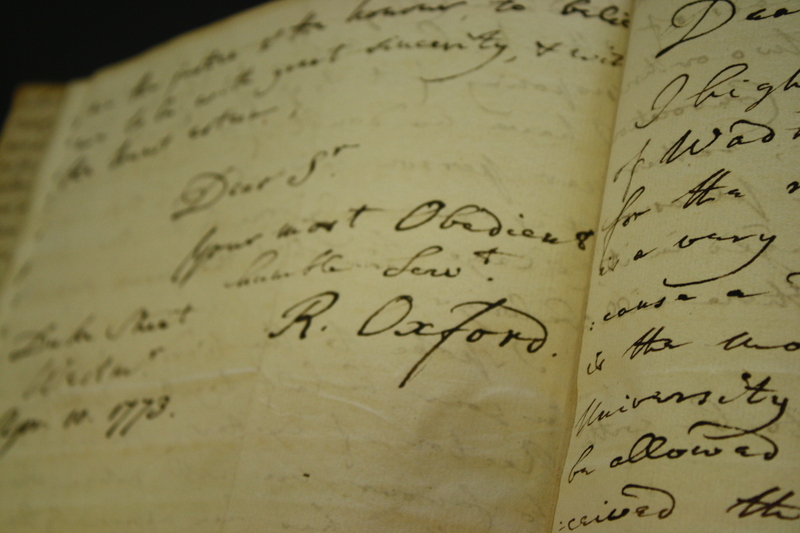 When they asked to see a letter by the orientalist Sir William Jones, they were shown the diary of one of Jones’s correspondents, his Dutch fellow orientalist H.A. 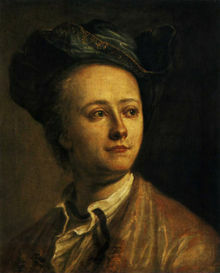 Schultens (1749-1793). Schultens was spending a year in Oxford to study some Arabic manuscripts there. At Oxford, he met Thomas Henry Lowth (1753-1778), Bishop Robert Lowth’s son, and it was through Thomas Henry that Schultens approached Lowth to try and help him obtain an MA from Oxford. An early example of social networking! Myrte is working on a prsentation on the letters for the third year BA course “Introduction to Late Modern English”, taught by Ingrid Tieken-Boon van Ostade. The paper is due next week: after that, she will be able to report more on the context of the letters as well as on their contents. Finding the letters came as a complete surprise to Ingrid Tieken-Boon va Ostade, author of The Bishop’s Grammar, Robert Lowth and the Rise of Prescriptivism (OUP, 2011): she had been collecting letters by Lowth for years without knowing some of them were so close by. They plan to write an article on the letters and what they mean for current research on Lowth but primarily on H.A. Schultens, in the near future. Schultens’ diary from the period of his stay in Oxford has been published online, and is well-worth reading (if you are able to read Dutch). And if you are interested in letters from the Late Modern English period generally, you might like to follow the Late Modern English letters blog. 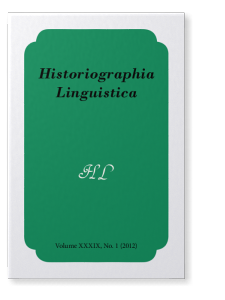 This month, a special issue of Historiographia Linguistica has come out called Robert Lowth (1710-1787): The making of his grammar and its influence (HL XXXIX/1, 2012). The issue, which was guest-edited by Ingrid Tieken-Boon van Ostade, has been dedicated to the memory of R.C. Alston, who died last year, and without whose bibliography on grammars none of the work on the English grammatical tradition down to 1800 would have been possible. The volume formally concludes the research project The Codifiers and the English Language: Tracing the Norms of Standard English financed by the Netherlands Organisation for Scientific Research, which ran from 2005-2010 and was directed by Ingrid Tieken. It includes a variety of articles on various topics related to Lowth and his grammar, both within an English context and a wider European one. In an earlier post I put the question who Harriet Knatchbull was, the little girl, or so it seemed to me, who had been given a copy by Lowth himself of his grammar. This grammar is now in Chawton House Library. Checking the Knatchbull family tree in Burrows and Dunhill (2002:1126), however, did not produce a girl of that name. The only Harriet Knatchbull found was the wife of Wadham Knatchbull, fellow prebendary of Lowth at Durham. This Mrs Knatchbull, née Parry, died in 1760, according to the index to the book. Mrs Knatchbull occurs twice in Lowth’s correspondence, once in a letter Lowth wrote to James Harris (1709-1780) to consult him about a problem he had encountered when writing his grammar (“P.S. Dr. & Mrs. Knatchbull have been for some time in London”, Durham, 28 April 1760) (Tieken-Boon van Ostade forthcoming), and the second time in a letter to Joseph Spence (1699-1768), also a fellow prebendary from Durham, dated Durham, 29 September 1761 (“Mrs. Knatchbull is just got into your house, & desires her humble Service & thanks to You.”). Wadham had died the year before, so Mrs Knatchbull was by this time a widow, and presumably in need of accommodation. Spence mostly lived in Byfleet, Surrey, though according to the entry for Spence in the Oxford Dictionary of National Biography, he did spend “more than the minimum of three weeks’ residence annually atDurham”. The Knatchbulls had two children, according to the family tree in Burrows and Dunhill, Wyndham and Catherine. Only Catherine’s year of birth is given, as c. 1753, but from the brief mention of the Knatchbull family by Le Faye in her edition of Jane Austen’s letters we know that Wyndham was born in 1750. Le Faye also mentions another son, Charles, born in 1747 (Le Faye 1995:540-541). All this suggests two things: Harriet Knatchbull, Wyndham’s wife, did not die in 1760. Secondly, if she was indeed the only Harriet Knatchbull, she may have been the one who had been given a personal copy of Lowth’s grammar. The inscription “Hart Knatchbull her Book the/ Gift of Dr Lowth Fuaby ye 11 1762″ may therefore have been hers. 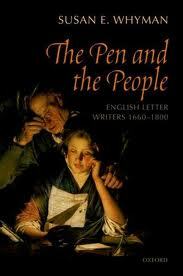 Lowth may have presented her with a copy to use when she would be teaching her children grammar, as had been his original purpose for his grammar to begin with. If all this is true, Harriet Knatchbull cannothave been a very experienced writer, as the handwriting itself suggests but also the misspelling for “February”. The use of a periphrastic genitive (“Hart Knatchbull her Book”) rather than the more standard apostrophe s construction (“Hart Knatchbull‘s Book”) suggests non-standard usage for the period. Lowth, in any case, corrected the construction in his grammar. The Chawton copy of the grammar, however, doesn’t show much signs of use: Harriet Knatchbull may never have got that far into the book, nor does she appear to have used it for the purpose for which Lowth may have presented it to her. But it is, ironically, thanks to the fact that she didn’t that the copy still exists today. Burrows, Donald & Rosemary Dunhill. 2002. 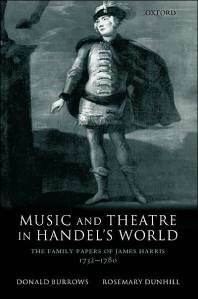 Music and Theatre in Handel’s World: The family papers of James Harris, 1732–1780.Oxford:OxfordUniversity Press. Le Faye, Deirdre (1995). Jane Austen’s Letters (3rd ed.). Oxford: Oxford University Press. Tieken-Boon van Ostade, Ingrid (forthcoming). “My imperfect attempt towards an English Grammar”: Lowth’s indebtedness to James Harris in revising his grammar. Historiographia Linguistica 39:1/2 (2012). Gilbert Sorsby/ His Book: 1763. Sorsby is identified as a Devonshire farmer, but he was only about 13 at the time (see his lifedates in the index of Whyman’s book). The inscription is remarkably similar to that in Harriet Knatchbull’s copy of Lowth’s grammar, and the date is almost identical. ‘Thomas’s book:’ that is, ‘Thomasis book;’ not ‘Thomas his book,’ as it is commonly supposed (1762:26). The Thomas in this quotation was Thomas Henry, Lowth’s son, for whom he had originally written the grammar. Thomas Henry was not yet ten years old when the grammar was published (and much younger when it was first written), so Lowth may well have remembered correcting his son saying Thomas his rather than Thomasis. How old Harriet Knatchbull was when she received Lowth’s grammar as his personal gift to her we don’t know. Quite young, I imagine, as she hadn’t yet mastered the proper abbreviation of the word February (see previous post). The inscription in the grammar shows that the acquaintance with the family continued after Wadham’s death. It also gives us somewhat more precise information about the publication of the grammar: some time before 11 February 1762. The link with the Austen family came about when Jane Austen’s niece Fanny Knight married Sir Edward Knatchbull. This was in 1820, three years after Jane Austen’s death, so too late for Jane Austen to have had the opportunity of relatively easy access to Lowth’s grammar. But who was Harriet Knatchbull, the girl who received a copy of Lowth’s grammar? According to Deirdre LeFaye’s brief description of the Knatchbull family’s link with Jane Austen in her edition of the letters, Wadham Knatchbull had three children, Charles (b. 1747, Wyndham (b. 1750) and Catherine (b. 1753) – no Harriet, in other words. So who was she, and why did Lowth give her a copy of his grammar? The grammar appears to have been printed in only 250 copies, so this must have been a very special gift. The first grammarian of English to condemn you was was Robert Lowth, in the first edition of his grammar (1762) (Tieken-Boon van Ostade 2002), and as I show in my article, usage dropped significantly after that date. This suggests immediate influence of the grammar, but the reason why Lowth included a stricture on you was in his grammar may well have been that usage was so frequent at the time that his attention as a normative grammarian was drawn to it. This is how usage items frequently attracts criticism. The split infinitive, first commented on in the early 1830s (Bailey 1996: 248), is a similar case, and so is the modern use of like (see e.g. the blog Bridging the Unbridgeable on this), though I haven’t come across any comments against it in modern usage guides – yet. Interestingly, usage of you was was corrected in the second edition of Jane Austen’s Mansfield Park, originally published in 1814 but reissued in 1816. This change was recorded by Kathryn Sutherland in her comparison of the two editions of the novel (Penguin edition 1996:415-424). The speaker is Fanny Price, who said “I thought you was against me”. the phrase “you was”, for which the statistics are Narration: 0, Lucy Steele: 3, Nancy Steele: 1. Tieken-Boon van Ostade, Ingrid (2002). ‘You Was and Eighteenth-Century Normative Grammar’, in Katja Lenz and Ruth Moehlig (eds. ), Of Dyuersite & Chaunge of Langage: Essays Presented to Manfred Goerlach on the Occasion of his 65th Birthday. Heidelberg: C. Winter Universitaetsverlag, 88–102. Lowth is well known as a scholar of Hebrew: see for instance the entry in the Dictionary of National Biography on Lowth. And thanks to the kind of education he had received as a boy he was thoroughly acquainted with classical Latin and Greek as well. But he also learnt other languages later in life, such as Spanish and German. On his attempts to learn Spanish, he informed Robert Darley Waddilove, who was chaplain to the British ambassador in Madrid, he wrote: ‘I am become a dabbler in Spanish’ (Lowth to Waddilove, 16 September 1774). We learn more about his efforts at learning German from his correspondence with Johann David Michaelis (1707-1791), who had published an annoted addition of Lowth’s De Sacra Poesi Hebræorum Prælectiones (Leipzich, 1758-1761). The publication led to a correspondence between the two men, consisting of twenty-two letters, five in Latin and the remaining seventeen in English. The letters are in the Niedersächsische Staats- und Universitäts-bibliothek Göttingen (Cod. MS Michael. 325, ff. 390-442) . You are to know then, that when I was inGermany, (I must not say, how many years ago,) I began to apply myself to the German Language & had made some progress, when I was unfortunately interrupted in my studie[s] by being unexpectedly recalled toEngland. However, I had gotten so far, as to be able, with a little Grammatical knowledge of the language, & a pretty good acquaintance with the subject, to read with no great difficulty a Chapter in Luther’s Testament. I have got my Grammar & my Dictionary ready; & shall set myself hard to work, as soon as ever You will do me the honour to furnish me with Your Translation; not as a Judge, hardly as a Reader, but as a very humble Learner (3 February 1770). … giving You some account of … my progress in my German studies. I go on & improve in my knowledge of the language; but not so well as I could wish. The truth is, I find my memory much weaker than it was formerly; & when I lay aside my German for a few weeks, as I am sometimes obliged to do, I lose a great deal: I forget words, I cannot get rid of the disagreeable work of frequently turning the Dictionary (28 May 1770). I keep up my German; & I find I make some progress, when I can apply to it without interruption; but I still find difficulties, & my Memory fails me (5 June 1775). Presumably, Lowth’s ability to read German had become quite good, for in 1795, eight years after his death, a translation from his hand of a poem by the German poet Karl Wilhelm Ramler (1725–98) appeared in the Berlinische Monatsschrift. It seems that his lifelong efforts, from his late thirties onwards, had been well enough spent.